The company, Northwest Innovation Works, backed by the Chinese government and investors plan to construct two methanol plants along the Lower Columbia River. One in Kalama, WA and the other at Port Westward, Oregon. Permit applications are being processed for the first plant to be built in Kalama. In Oregon the company has an option to lease land from the Port of Columbia County. The projects use fracked natural gas and large quantities of water to manufacture the methanol which will then be shipped to China. These two projects, to be located on both sides of the river will contribute to the cumulative impact on endangered salmon in Columbia River. There is strong oppostion to both projects. "...a different perspective - that the behind-closed-doors discussions kept the public in the dark for too long about plans officials knew would be divisive. July 31, 2018 (Portland, Ore.) — Today, a coalition of public interest groups celebrated news that opponents of Portland’s fossil fuel ordinance have failed in their efforts to overturn the City’s landmark law. In 2016, Portland’s City Council voted unanimously to prohibit new fossil fuel infrastructure such as oil and gas terminals. Last week, the Oregon Supreme Court declined to review a January 2018 ruling by the Oregon Court of Appeals that upheld the Constitutionality of Portland’s Fossil Fuel Terminal Zoning Amendments, dealing another blow to the legal challenges brought by the Portland Business Alliance and the oil industry. 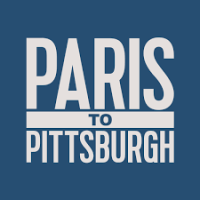 Paris to Pittsburg - view the trailer above on climate change. Broadcast earlier on December 12th on National Geographic Channel. City Mayors take note and act.